Motorola, still being on the center stage at the Mobile World Conference 2011 (MWC 2011), announced several new enhancements to its Motoblur software, with all the features designed to increase connectivity with contacts and services. Three new features which include Connected Music, Connected Gallery and Aloqa, have been added to enhance connectivity between users and the device. Connected Music is a discovery and sharing tool designed for music lovers. With this feature, users can share content with friends and display on what they are listening to. Furthermore, the tool also provides recommendations based on similar tastes, while also allowing users to purchase tracks. The feature also has the ability to stream in lyrics while songs are playing. Secondly, Motorola added the Connected Gallery, which combines photos and videos from various social platforms as well as photo services such as Flickr, Picasa and Photobucket. This feature further lets users view albums in a single view rather opening each separately. The feature pushes in updates when a new media is uploaded or someone comments on the uploaded photo. Lastly there’s Aloqa. Most of you might not be aware of this term, Motorola defines it as a location-based mobile push platform which allows third party apps to offer users with information on events, places, deals and more, based on their current location. 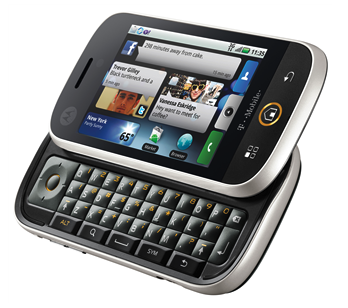 Above feature of Motoblur would also be available to the Motorola Atrix 4G and Motorola Cliq 2 as an upgrade.